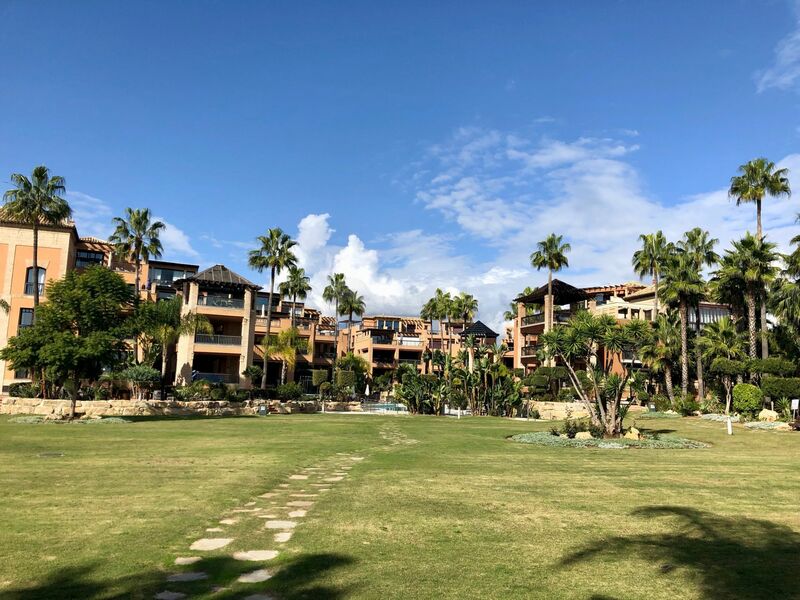 For sale this beachside ground floor apartment in Casablanca Beach, luxury frontline beach complex, in Nueva Alcantara, with excellent quality: marble floors, air conditioning cold and hot. 3 bedrooms and 2 bathrooms. It has a cozy covered terrace, with glass curtains and wooden floors. Luxury quality: marble floors, air conditioning and heating. 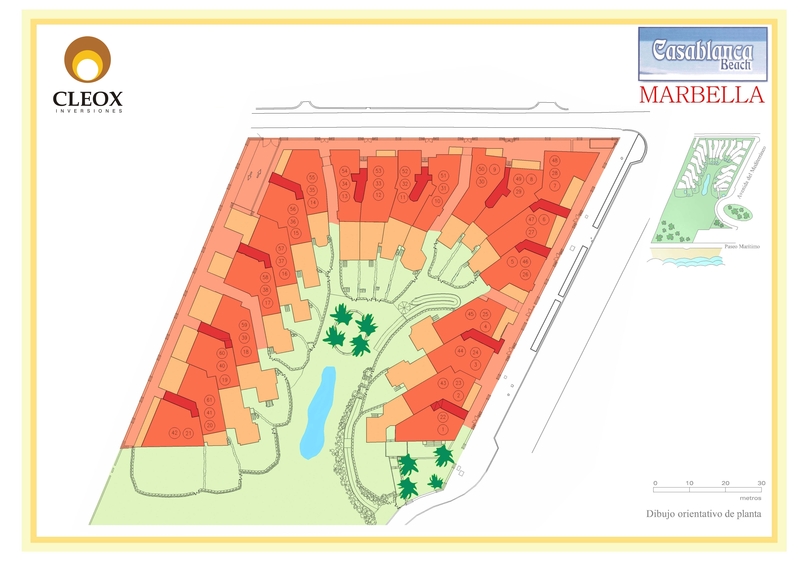 There is a living room, fitted kitchen, covered terrace, 3 bedrooms, 2 bathrooms. Garage for two cars and storage room. For sale decorated and with furnitures. 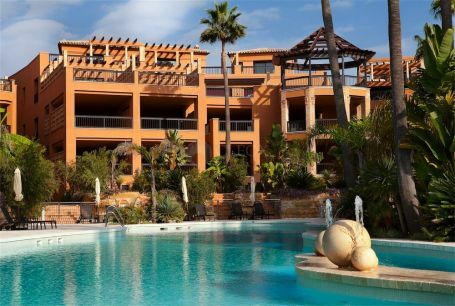 СASABLANCA BEACH is a luxury complex with a privilege location: frontline beach, next to a beautiful promenade lined with typical fish restaurants and wide beaches. 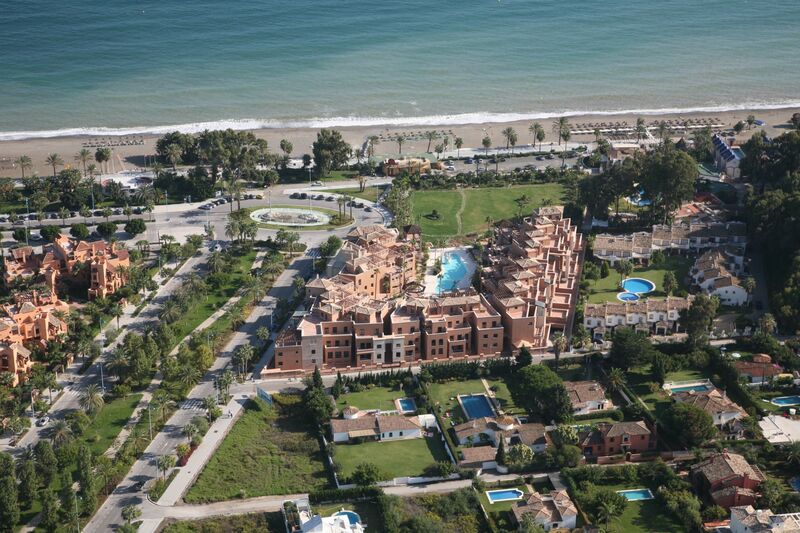 A 15 minutes walk to downtown San Pedro de Alcantara and 30 minutes from Puerto Banus. The complex enjoys the tranquility of the sea and is one step away from the entire infrastructure necessary for daily living such as shops, banks, restaurants, sport centers. With an original architecture in three heights, the complex has 61 apartments. 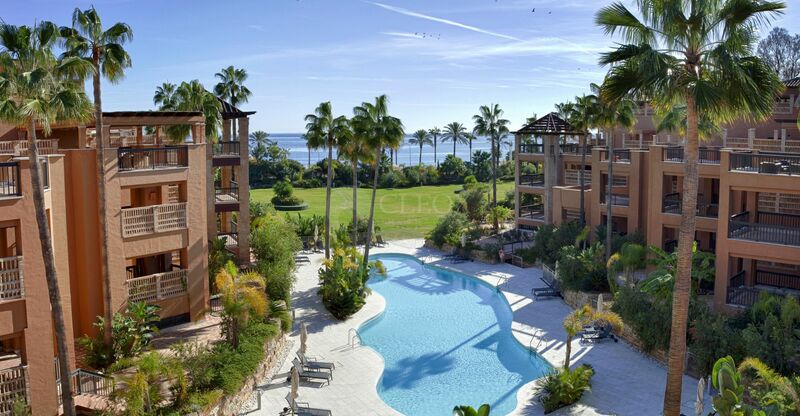 The communal areas have a beautiful lake-shaped pool and 6.000 sqm of tropical gardens with direct access to the promenade and beach. 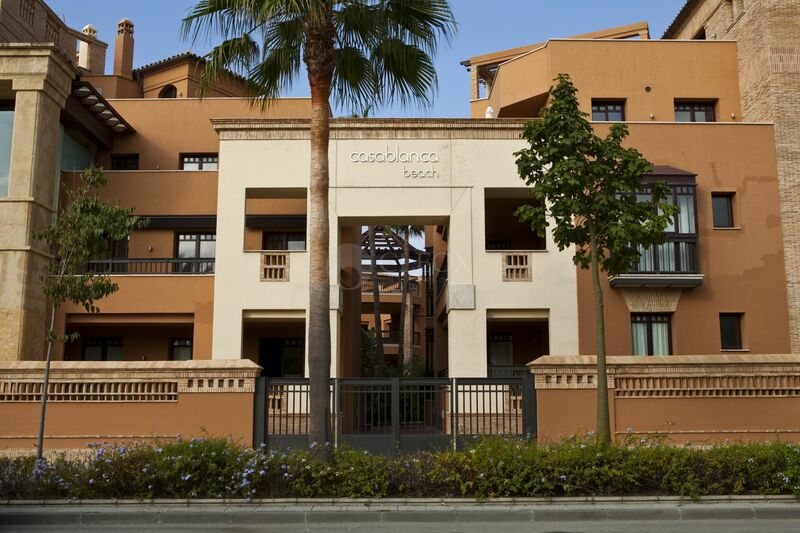 Please, send me more information about ref AP0185 in Nueva Alcantara, San Pedro de Alcantara or similar properties.